Despite serious injuries and heavy bleeding, the rabbi turned his car around and fired four bullets at the attacker in an attempt to neutralize the threat to innocent bystanders. 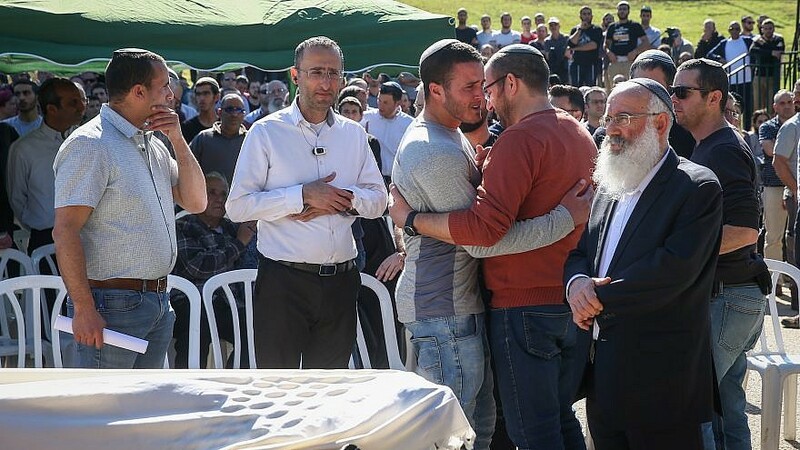 Family and friends attend the funeral of Rabbi Achiad Ettinger, who died after being shot in a terror attack near Ariel on March 17, in the Jewish settlement of Eli, March 18, 2019. Credit: Noam Revkin Fenton/Flash90. 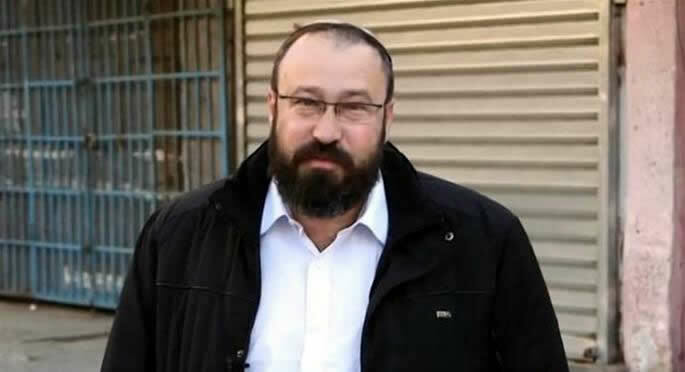 (March 18, 2019 / JNS) Rabbi Achiad Ettinger, a 47-year-old father of 12 who was critically injured in a terrorist attack near Ariel on Sunday, succumbed to his wounds on Monday morning and was laid to rest. “The passing of the blessed Rabbi Achiad Ettinger, who fell with the grace of God at the hands of a lowly murderer during a terror attack in which he revealed daring, mental strength and courage, while shooting at the loathsome terrorist,” the Ettinger family said in a statement. Rabbi Achiad Ettinger. Credit: Chabad.org/News. 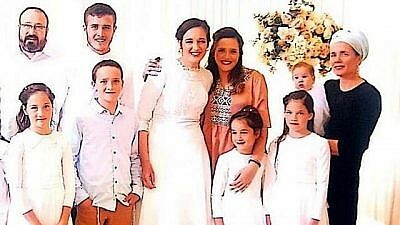 A resident of the town of Eli in Samara, Ettinger—the dean of the Oz V’Emunah yeshivah in the Neve Sha’anan neighborhood of South Tel Aviv—is being heralded as a hero by his family for firing at the terrorist even after being severely injured. He is survived by his wife and children, ages 1 to 20. Similarly, Rabbi Avraham Schiller, the rabbi of Eli, called Ettinger a “hero and fighter” for the Jewish people. Rabbi Achiad Ettinger and family. Credit: Courtesy. “In your heroism, you became an emissary for the entire nation of Israel. Everyone will learn from your actions, both civilians and soldiers,” he said. Ettinger was shot in the head and neck by 19-year-old Omar Abu Laila while driving his car at the Gitai junction on Sunday, just moments after Abu Laila stabbed 19-year-old Israel Defense Forces’ soldier Gal Keidan of Beersheva and stole his gun. Ettinger’s family said that despite serious injuries and heavy bleeding, the rabbi turned his car around and fired four bullets at the attacker in an attempt to neutralize the threat to innocent bystanders being targeted by Abu Laila. The terrorist managed to escape in a car that had been abandoned by a terrified driver during the incident. Ettinger’s organs will be donated to those in need. Soldier and new immigrant from Moldova Alexander Dvorsky, who was injured when Abu Laila drove to the nearby Gitai junction and opened fire after the Ariel Junction attack, remains in serious condition. Abu Laila’s father and brother have been detained by Israeli security forces, but the terrorist himself is still at large.